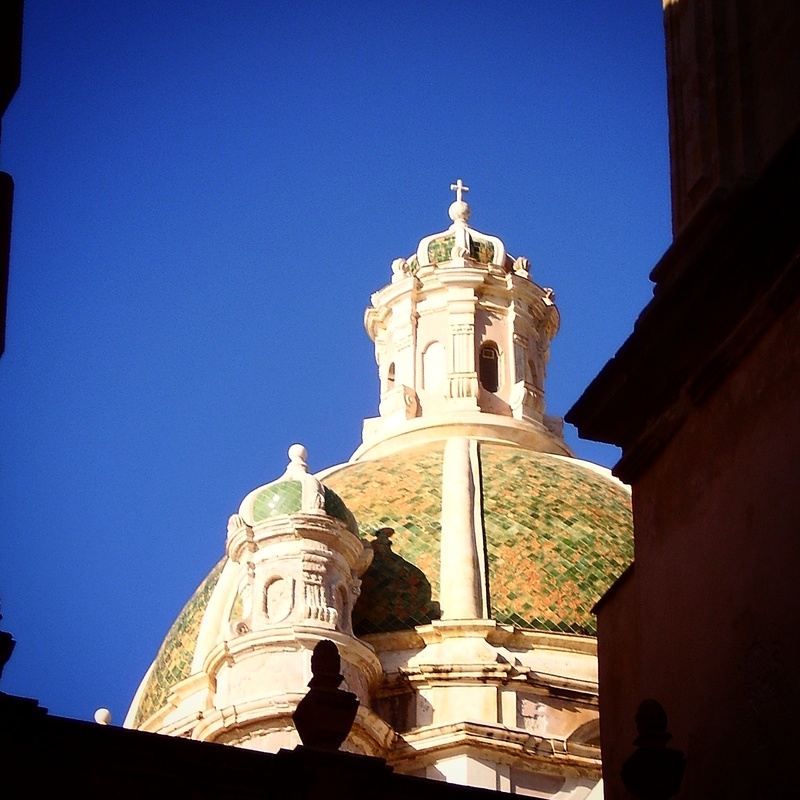 Church dome (duomo) with majolica tiles, Cathedral of San Lorenzo, Trapani. Isn’t it amazing that they could build that magical, beautiful dome and all the other small domes centuries ago? Yes! Without cranes and computers. It’s incredible to think about it!